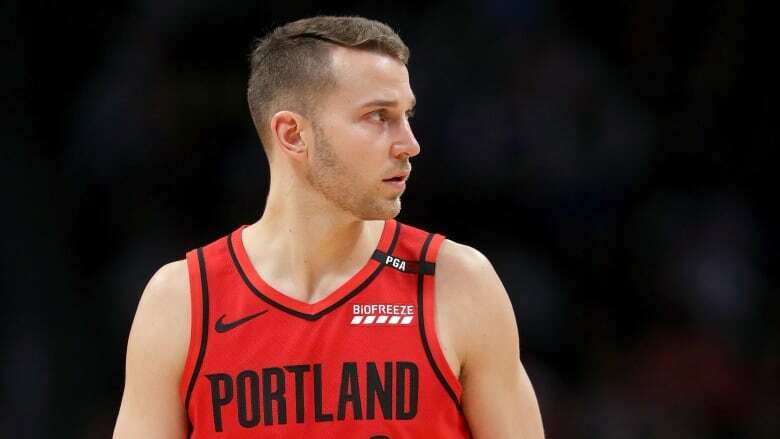 Yesterday, the Portland Trail Blazers traded Nik Stauskas, along with Wade Baldwin and two future second-round picks to the Cleveland Cavaliers in exchange for Rodney Hood. Stauskas just signed with Portland before the start of the season and averaged 6.1 points over 15.3 minutes per game. But even though he’s been a Blazer for only half a year, the eighth overall pick of the 2014 NBA Draft, seemed to have had a good time and was well-liked among teammates. After being told that he was headed to Cleveland, Stauskas attended Sunday’s practice nontheless, to say goodbye to his former teammates. Right in the feels.